Add style and functionality to your kitchen with this 45cm Alpine Pantry Cupboard. 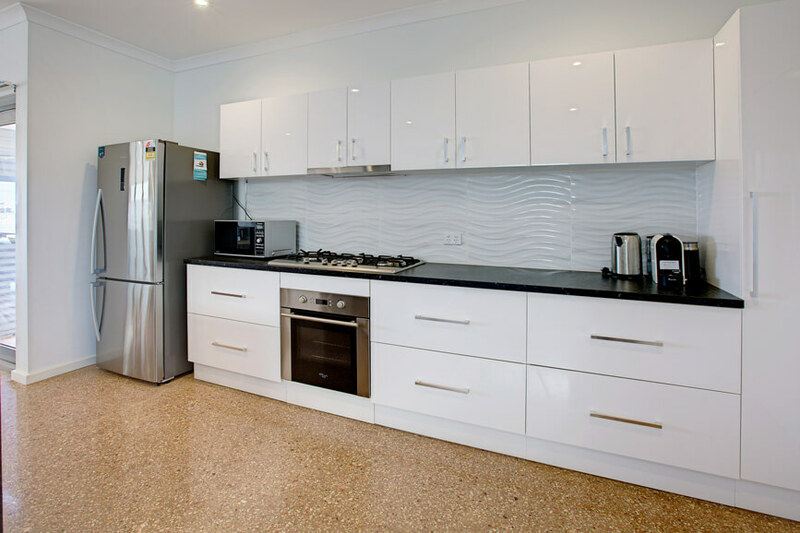 This single door cupboard contains six large shelves and presents ample amount of space to store your kitchenware or linen. Designed to offer easy installation, this pantry cabinet comes fully assembled and you simply need to place it in your kitchen. Featuring a hardwearing glossy white finish, it asserts stylish looks. 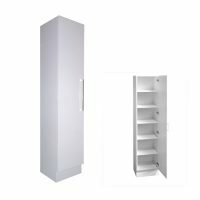 The soft closing door of this pantry cabinet is reversible and can be installed as either left or right handed. 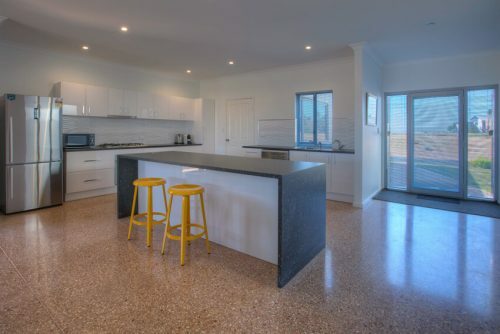 It is also equipped with an elegant chrome handle. 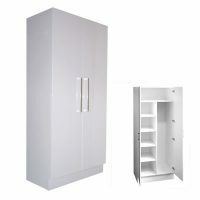 Manufactured using high grade HMR board, this this 45cm Alpine Pantry Cupboard is incredibly moisture resistant. This pantry cabinet is also incredibly easy to clean. Use a damp cloth and wipe off dry to keep this cabinet looking brand new. It is sturdy and durable and will easily withstand many years of heavy usage. As a mark of quality, Alpine offers a solid 5 year guarantee on workmanship and materials on all products. Give your kitchen extra storage space with this 45cm Alpine Pantry Cupboard. 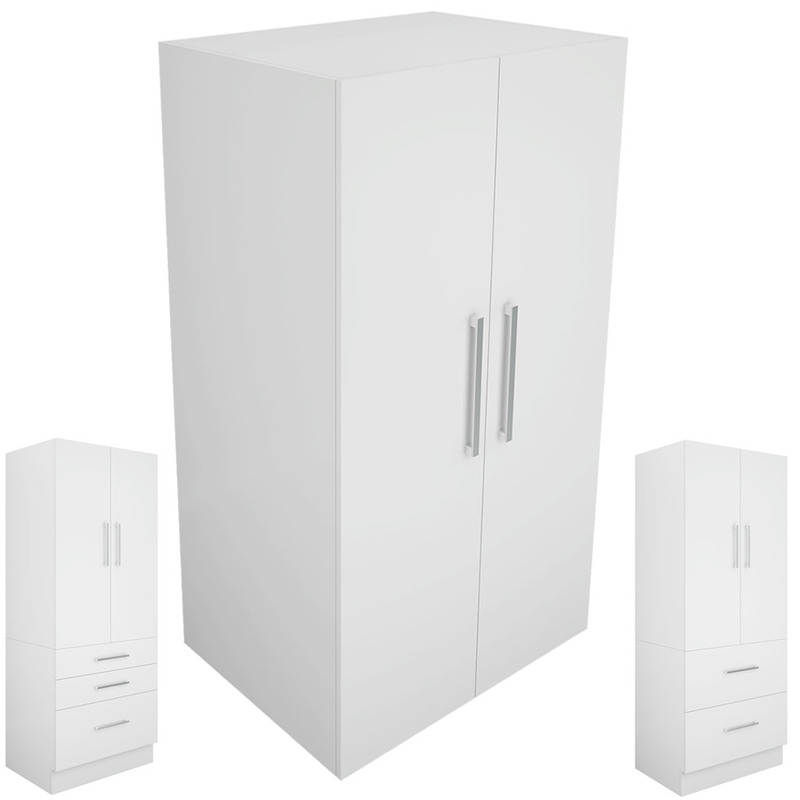 Buy this cabinet at today Ross’s Discount Home Centre at the lowest possible price!